Many people are suffering from a headache. It is one of the common health problems that can interfere with daily tasks and activities. Headaches are classified into tension headaches, migraine headaches, and cluster headaches. There are many factors that contribute to this problem, such as genetic causes, dehydration, excessive smoking, and eye strain. A headache may also occur due to physiological changes, neck strain, oversleeping, abnormal neuron activity, and constriction of the blood vessels. In most cases, drinking a glass of water can alleviate discomfort caused by headache. It is important to consume eight to ten glasses of water daily to prevent dehydration. People also take over-the-counter medications to get relief. There are also natural ways to alleviate headache instantly, such as using pressure points. Stimulating pressure points for headaches can lessen the pain and discomfort. Using one or few of them can get rid of your problem right away. These common pressure points can alleviate your headache, stress, sleeping disorders, body pains, anxiety, and more. A headache caused by common cold or stress can be alleviated by applying pressure on the drilling bamboo point. This treatment can also treat poor night vision, vertigo, hay fever, and lazy eye. 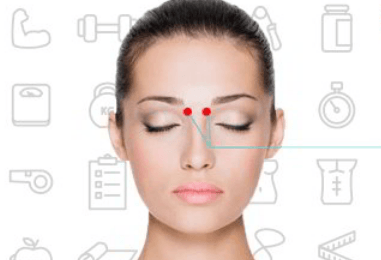 People who are also suffering from poor eyesight and sinusitis can do this process. The drilling bamboo point is located below the eyebrows, where the bridge of the nose intercepts with the eye socket. Apply pressure to both points using the tip of your fingers. Do this for one minute while breathing deeply. 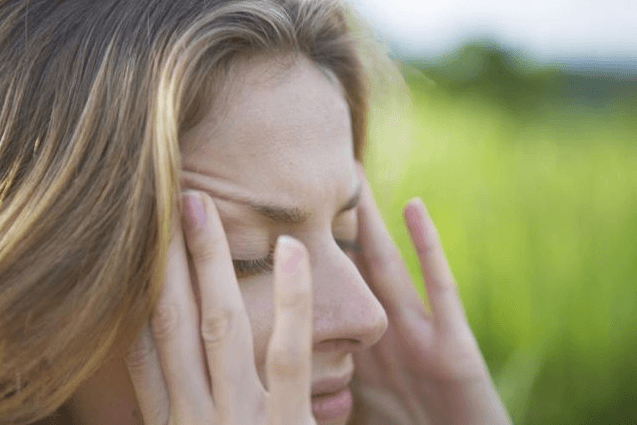 This technique is one of the effective pressure points for headaches. It allows you to get relief from headache. It is also used for treating indigestion, insomnia, eye strain, hay fever, and fatigue. 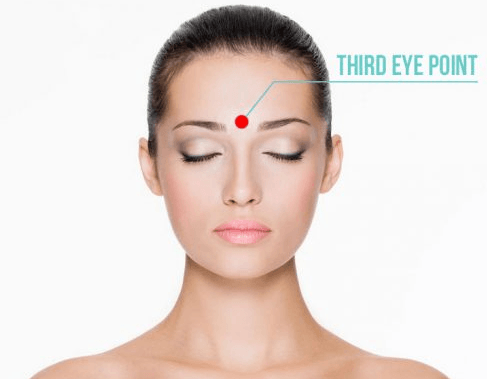 Applying pressure on third eye point also balances the pituitary gland, and improves emotional and spiritual imbalances. The third eye point is located between the eyebrows, where the bridge of your nose meets your forehead. Apply pressure on this location using your thumb for one minute to treat a headache. Applying pressure on the L 14 point or union valley can reduce a headache, as well as shoulder pain, arthritis, and neck pain. It is also used for treating hangover, constipation, and toothache. The L point is located between the index and thumb fingers of your left hand. Apply gentle and firm pressure on the fleshy area or union valley point using the index and thumb fingers of your right hand. Hold it for five to ten seconds before then release. Repeat this process with your other hand until you get relief. Make sure that you are taking deep breaths as well. Note: Pregnant women should not do this treatment as it may lead to premature contractions. These pressure points for headaches are also used for treating eye fatigue, nasal and sinus blockages, congestions, as well as burning eyes. 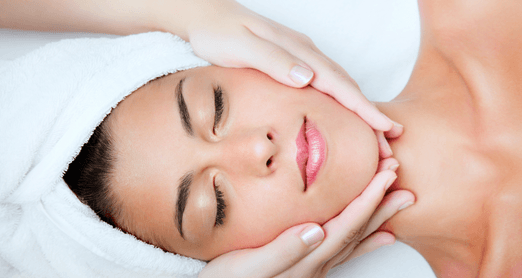 It can also improve the skin to reduce blemishes, acne, and swelling by improving circulation and toning facial muscles. The facial beauty point is located on both sides of the nostrils, under your cheekbone. Locate these points using your index fingers. Apply pressure on these points for one minute and do not forget to take deep breathes. The heaven’s pillar is located two fingers below the base of your skull. Applying a firm and gentle pressure on this point can relieve a headache, eyestrain, insomnia, stiff neck, and stress. It can also alleviate exhaustion, anxiety, and dizziness. The heaven’s pillar is also useful in treating thyroid imbalance and cough. About one-half inch below the base of your skull, and on the rope-like muscles on both sides, apply firm pressure using your index fingers or thumb. Hold for a few minutes to alleviate a headache. The gate of consciousness is located just below the base of the skull. Applying pressure on these points can provide relief not only from a headache, but also from neck pain, tension, depression, irritability, and sinus problems. It can also improve blood circulation and immune system. Gate f consciousness points are located at the base of the skull, on each side of your spine. Tilt your head back as you apply a gentle pressure on these points. Hold for up to one minute while taking deep breaths. One of the best pressure points for headaches is Shoulder Well. It can effectively treat a headache, migraine, irritability, neck stiffness, and muscle spasms. It is also used for treating asthma and nervousness. This pressure point also dissipates nodules and reduces phlegm. 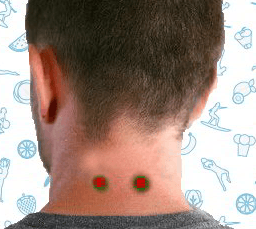 These points are located halfway between your point of shoulder and base of the neck. The points are about one to two inches out from the lower neck. 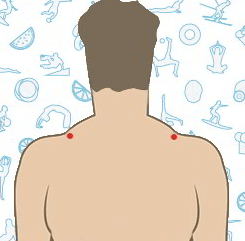 To relieve headache with Shoulder well, locate these points using your thumbs. Apply downward pressure for four to five seconds. Release, and apply the pressure again. The wind mansion point helps in treating eye pain, dizziness, throat swelling, nose bleeding, earaches, and headaches. It is located at the top of the neck, in the space at the base of the skull. Tilt your head back and locate this pressure point by searching for the hollow under the base of your skill. Apply pressure on this point using your middle finger or thumb. You can let the weight of your head do the job. Breathe slowly for one to two minutes. The pressure points on the temple area are located around the ear. All five points need to be pressed together to alleviate headaches and migraines. Start with the Hairline Curve. Follow with Valley Lead, Celestial Hub, Floating White and then Head Port Yin. 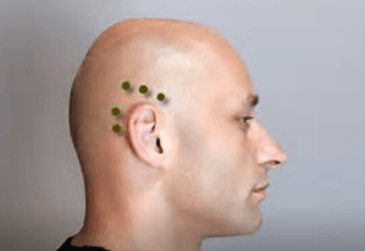 Apply moderate pressure on these points to cure headache and unclog sinuses. Above tears is one of the best pressure points for headaches. Located on top of the foot, this point is used for treating shoulder tension, water retention, hip pain, arthritis, and sciatica problems. You can easily find it at a one-inch distance from the webbing of the fifth and fourth toe. After locating the Above Tears point, apply pressure on it to alleviate a headache. Hold it for one minute on each foot to stimulate the points. Make sure that you breathe deeply. Bigger rushing is used for treating headaches, eye fatigue, hangovers, and foot cramps. It is also effective for arthritis pain, lack of concentration, tiredness, and allergies. 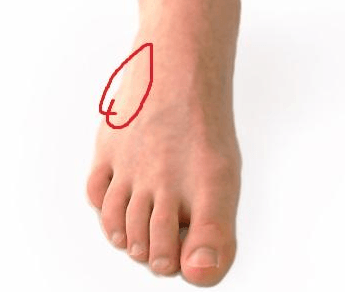 This pressure point can be found on top of the foot. It is near the valley between the second toe and the big toe, and one or one-half inches back from your toes. While sitting, place your right foot over your left thigh. Apply pressure on the bigger rushing point using your thumb and hold for a few minutes. Repeat this process with your other foot until you get relief. In addition to pressure points for headaches, you can also apply these pressure points to other health problems. The base of the thumb – The pressure point located at the base of your thumb is used for treating coughing and breathing problems. Apply firm pressure on the base of the thumb, above your wrist. 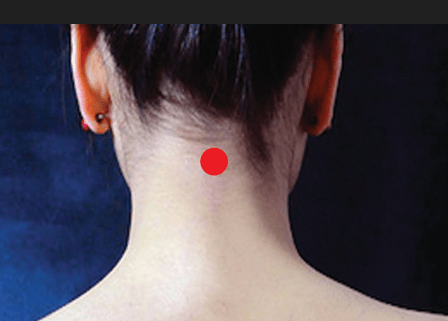 Inner Gate Point – This pressure point is effective in treating nausea. It is located on your wrist, which is about 3 cm from the crease. Apply pressure on inner gate point to get relief from nausea, anxiety, stomach pain, and indigestion. 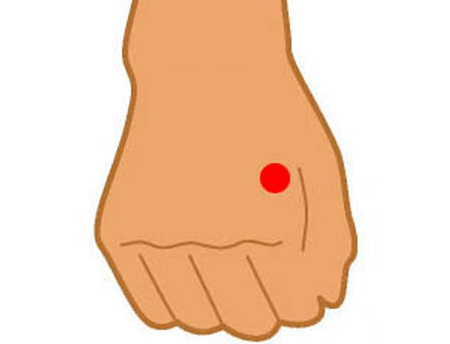 Wrist point – This pressure point is useful for reducing stress levels. It is located on your wrist. Apply firm pressure on this point regularly to reduce stress. It can also elevate your mood. 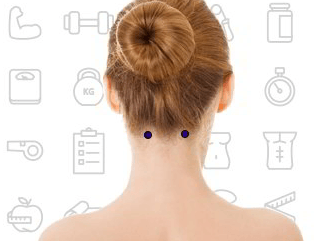 Kidney point – One of the most common pressure points is the kidney point. It is located on the sole of the foot. Apply pressure on this location can also treat dizziness, neck pain, nausea, constipation, and headache. Large intestine point – This point is used for eliminating surplus heat from the body as well as unnecessary moisture. You can easily find this point by bending your elbow to your chest. Using the thumb of your other hand, apply pressure near the crease to reduce waste of water from your body. Ankle point – This pressure point is used to improve digestion. This point is located at the inner side of the leg and two inches above your ankle. Apply pressure on this spot daily to improve the function of your digestive system. Abdominal Sorrow Point – This pressure point is used for treating ulcer problems and indigestion. The points are located above your navel and just below the last rib. Apply gentle pressure on these points to improve digestion, treat an ulcer, and eliminate rib pain.